Started in 1982 in the UK to provide an alternative to the newly instituted socialized medicine plans that were a major aspect of European Union status for member nations and Euro zone entities, MediCare International's health insurance coverage was so well received by the UK public that it soon expanded to serve other parts of Europe, and today insures persons in over 120 countries. 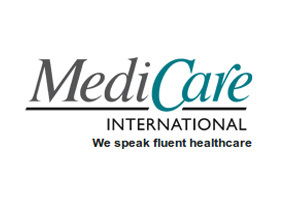 MediCare International (not affiliated with the US Government subsidized insurer MediCare for aged and retired persons), offers group, family, and individual coverage in Malaysia with the goal of offering comprehensive coverage and available options to create a total healthcare solution for their customers. As a part of the SBJ Limited reinsurance firm, all MediCare International policies come with strong financial backing and their insured enjoy access to a huge global network of healthcare partners to look after their needs in case of illness or injury. In addition to coverage in Malaysia, MediCare International even offers international health coverage for frequent travelers who may require it. If you need more information on MediCare International's coverage options or policy restrictions, feel free to speak with a Malaysia Health Insurance adviser. Our staff are fluent in a number of commonly spoken languages, so if you prefer to communicate in a language other than English please complete an information request found at the top of this page and tell us so. Alternatively, for immediate assistance you can speak with an adviser by clicking here.